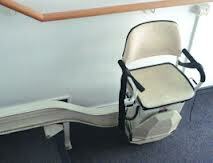 The Thyssen ‘Stratus’ curved stairlift was the learning curve for many stairlift engineers. A proven design that was robust and built to last. The eary models didn’t come with swivel seats or diagnostic displays. There job was to get you either up or down the stairs – and they did! 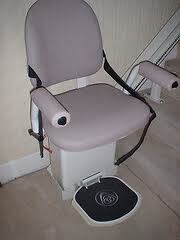 With its revolutionary optical sensor on the rear leveling skate, this curved stairlift was the first to use cutting edge technology which paved the way for its successors. Unfortunately they are a rare sight these days but those that are still out there are still going strong.